Date and time: Wednesday, April 17 at 7 p.m.
A documentary filmed and produced by Goshen College students that takes viewers through the journey of Apostle Paul as he broke down barriers to share the Gospel of Jesus Christ has just been completed and is ready to be premiered. 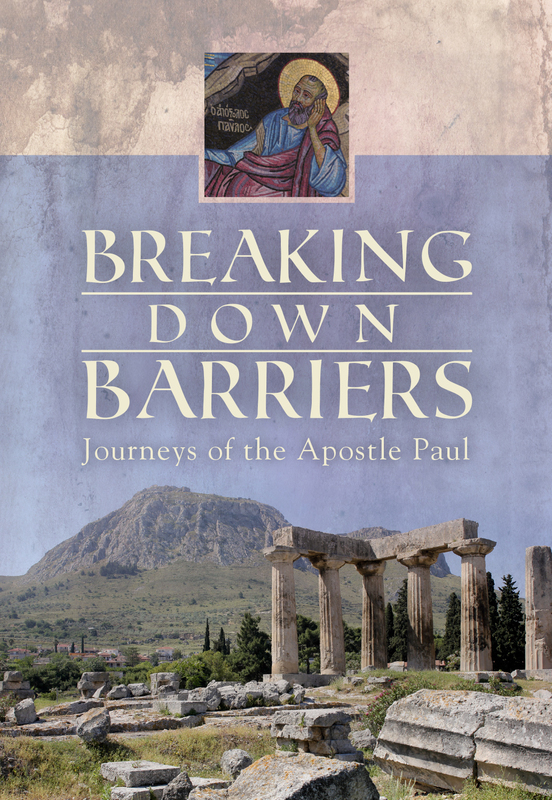 The film, “Breaking Down Barriers: The Journeys of Apostle Paul,” will debut on Wednesday, April 17, at 7 p.m. in the downtown Goshen Theater. 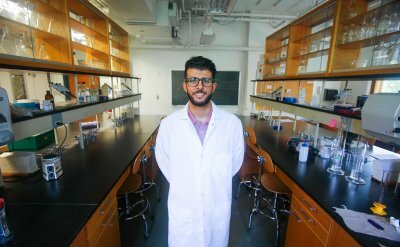 The 30-minute documentary is free and open to the public. 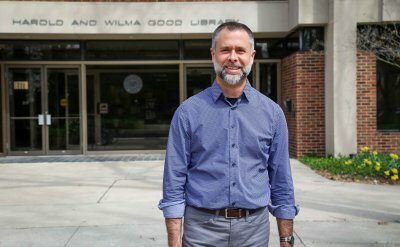 It is produced by FiveCore Media, a video production company of the college’s Communication Department, which employs communication faculty and students. In May 2012, Assistant Professor of Communication Seth Conley and FiveCore Media General Manager Kyle Hufford led a team of nine students through Greece and Rome for three weeks to collect footage exploring how Paul ministered to the Jews, non-believers and early churches. Since the filming, six additional students have worked on editing the documentary alongside producers Conley and Hufford. The film follows Bob Yoder, Goshen College campus pastor, and David Sparks, director of Footstep Ministries, as they guide viewers through cities such as Philippi, Corinth, Rome, Athens and Thessaloniki. 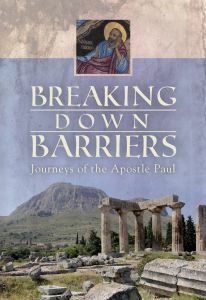 Yoder and Sparks explore how Paul overcame religious, cultural and physical obstacles as a leader of the first generation of Christians. 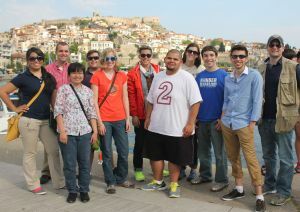 The team of Goshen College students and faculty who filmed the new documentary “Breaking Down Barriers: The Journeys of Apostle Paul” pose for a group photo in Greece in May 2012. Abby Deaton, a sophomore communication and psychology major from Indianapolis, travelled with the crew. Deaton, who had not been outside of the country before, said she had the opportunity to produce, film and run audio and lighting during the trip. “Working with a talented group of people to film in two beautiful countries while simultaneously learning about the roots of my faith was an amazing and unforgettable experience,” Deaton said. To view the documentary’s trailer or order a DVD for $10, visit www.goshen.edu/communication/journeys. 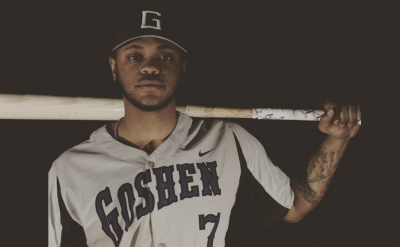 For more information contact Seth Conley, executive producer, at sconley@goshen.edu. FiveCore Media, formed in 2011, writes, produces and edits videos, such as commercials, promotional and informational videos for the college and other companies and organizations. Recently, FiveCore Media received four national awardsfor their advertising work, including three honors from Bronze Telly Advertising Awards and a Broadcast Educators Association Award of Excellence.